monotribe, in limited silver and gold. Photo by Marsha Vdovin for CDM. It’s a beautiful thing when music hardware improves with age. And lately, that’s been what’s happening to Korg’s monotribe and monotron. Over the past few months, we’ve seen a major update from Korg for the monotribe that makes its sequencing functions easier and more useful. 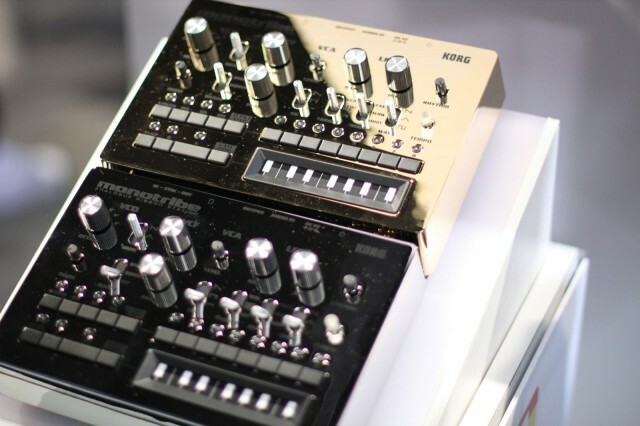 To save you the trouble of navigating the Korg Japan site – a difficulty for those of us who don’t speak Japanese – here on CDM, we’ve got a number of downloads for saving monotron patches, and the Japan-exclusive overlay for the monotribe update. And, courtesy enterprising hackers in Brazil unassociated with Korg, a monotribe MIDI update gives the hardware the feature it sorely lacks. And how many videos do we have of all of this? Too many videos. Monotribe stuck to the analog sound, even how to update the analog stick to technique. Past, as had been loaded by the cassette tape to PC data, has adopted a voice in how to update using monotribe. Get in the music stores nationwide ! Reversal from heavy image of monotribe so far, has started distribution of the national musical instrument dealers in sequential overlay of vivid yellow color, such as the intensity of the synth sounds tell. Because there is limited number of people you want to soon. Via Scribd, we’ve got all those downloads for you, so enjoy. From Brazil, Amazing Machines have done a clever MIDI input and output mod for the monotribe. Now, some of us (cough, cough) think this should have been on the hardware in the first place, but the mod really is quite clever, so lovers of the monotribe get something that they should really love. MIDI output: MIDI clock, arpeggiator from the synth section, trigger info from the rhythm section, and even the ability to use the ribbon controller as note, volume controller, and gate time. Using sync I/O on the monotribe, converts MIDI clock to sync pulse or the other way around. All of this is now pre-assembled at US$64. You can even get US$10 off if you ordered the previous version.